The iron giant is attacking the city but don't worry, colourful jets are here to save the day on soft white 100% cotton. Look out! The iron giant is on a rampage in the city! 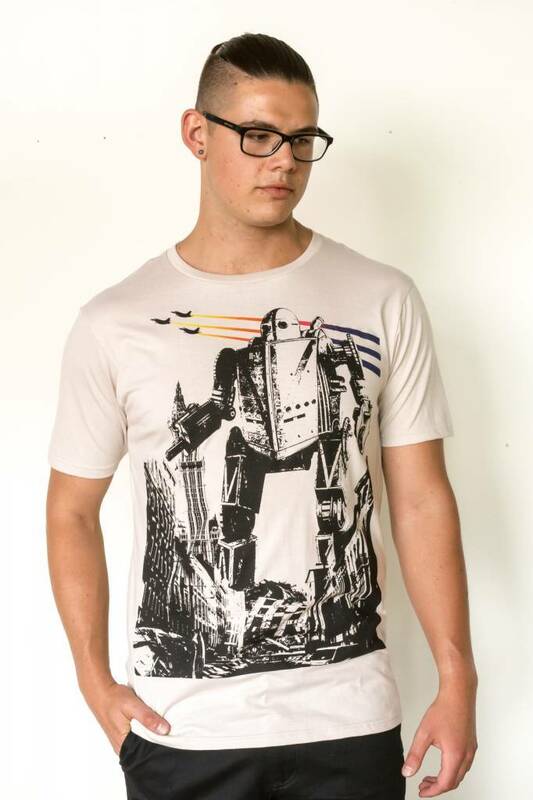 Express your love for all things robot with sci-fi adventure on this white 100% cotton unisex tee.